Need a gift for someone on the “naughty” list? No problem. My holiday gift guide excludes no one! Gravett, Emily. Wolves. New York: Simon & Schuster for Young Readers, 2005. Print. Summary: Rabbit gets a book about wolves from the library. As he reads, he gets more and more engrossed until the story actually manifests a real wolf! Snap-chomp-scarf! Rabbit is gone! Critique: Received the Kate Greenaway Medal. Bronze runner-up for the Smarties Prize. Shortlists for the Hampshire Illustrated Book Award. This book is fabulously naughty! Rabbit is so cute, so chubby, with ears so long and flopsy! Is it any wonder the wolf turns him into a yummy snack? Is this book likely to scare the wiz out of young readers? I doubt it. Gravett’s work operates under the premise of “safe danger.” Remember the sizzling thrill when mom or dad would transform into a hulking Frankenstein’s-monster-zombie-beast-thing, chase you, catch you, and “eat” you? That’s safe danger. Basically, this book makes me want to be Emily Gravett when I grow up enough to write picture books. I want to showcase this kind of wicked-fun danger, which is ultimately a show of respect for young readers! Look out, creative writers! Using a list format to tell a compelling story just fell into the capable hands of a children’s author. Cue sinister guffaw: MUHUHUHU-WHA-HAHAHA! Cummins, Lucy Ruth. A Hungry Lion, Or A Dwindling Assortment of Animals. New York: Atheneum Books for Young Readers, 2016. Print. Summary: An unassuming narrator attempts to relate the once upon a time tale of a large assortment of animals, only to be repeatedly interrupted by steady disappearances. Each time the narrator takes stock, the cast dwindles, until only the hungry lion remains…. But the tale does not end there. Critique: Fans of the mischievous, misbehaving forms of children’s literature will no doubt root this book on their shelves alongside classic troublemakers crafted by the likes Mo Willems, Roald Dahl, E. Nesbit, and Mark Twain. Readers, after all, delight in subversion. Writers, too, will delight in the way Cummins crafts a story around a continually revised list! Creative nonfiction writers have used this technique to great effect, but in children’s books lists tend to either accumulate or taper and the purpose is usually to assist with counting. The list in this text operates on a totally different schema. 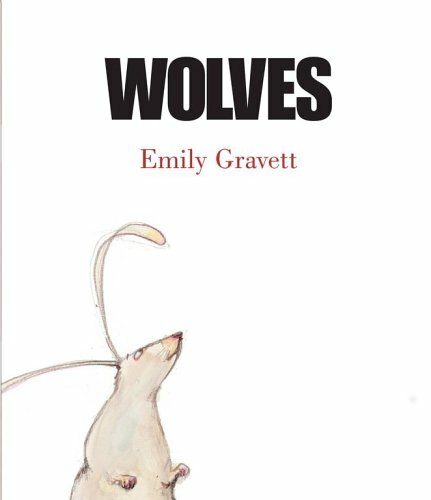 Much like Emily Gravett’s Wolves, A Hungry Lion hinges on subversion, but whereas the genius of Gravett’s work achieves its subversiveness by breaking the barriers of a complex mise-en-abyme, Cummins’s text utilizes closure. In his seminal Understanding Comics, Scott McCloud describes closure as our natural ability to construct a whole from only the parts. Closure is how we fill in gaps in order to make sense of partial or disconnected bits of information. We rely on past experience to complete the incomplete. In other words, closure is our ability to make assumptions or leap to conclusions needing only a small diving board. What happens to the disappearing animals? The book does not say, so the reader fills in that narrative gap. However, Cummins uses closure to brilliantly demonstrate how our assumptions can be (and often are) wrong. Truth is more slippery than soap. And injustice and justice can be easily and simultaneously swallowed whole.